Home » FAQ » What Happens When a Company Goes Into Administration? The thought of having to go in to administration can be embarrassing and a little intimidating for many company owners. But it needn’t be. That’s because, if managed professionally it can be a relatively painless process. And it isn’t as uncommon as you might believe either – UK government figures show that in the three months from October to December 2017 an estimated300 companies entered administration. Voluntarily by the company directors. On the application of a qualifying floating chargeholder. By way of a Court Order. Regardless of whether it is the court or the company directors who appoints an Administrator, this particular individual must be a licensed insolvency practitioner, such as those at BCR. To rescue the company as a going concern. 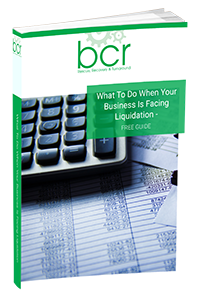 To achieve a better result for the company’s creditors than would be achieved if the company entered liquidation. To realise company property in order to make a distribution to one or more secured or preferential creditors. Appointing an Administrator prevents company creditors from taking any further legal action against the company, unless they obtain permission of the Administrator or the Court. In an effort not to keep creditors waiting too much longer, an Administrator is given a period of eight weeks in which to send out proposals to creditors of how they intend to manage the administration. The proposal will explain what action the Administrator intends to take in order to achieve the best possible outcome for the company’s creditors. If the breathing space of administration is something that you feel your company may benefit from, then why not get in touch with one of our insolvency practitioners for a chat today.